Izzy gets a note from Bear asking her to come to his home at once. Izzy sets out even though snowflakes have started to fall from the sky. As the storm gets worse, more and more friends happen by to help Izzy get to Bear's house. When Izzy finally gets to Bear's she gets a surprise that will also delight young readers. The illustrations are absolutely gorgeous. 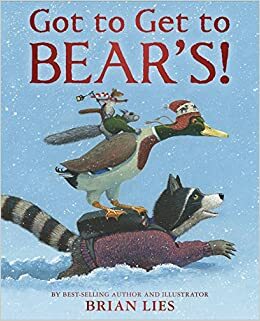 Each of the woodland animals is clad in a sweater, hat or scarf as they journey through the treacherous storm. The details in the artwork beautifully capture the chilliness of winter, as well as the warmth of Bear's home. This is an adventurous tale of friendship, determination, and teamwork. This may just be my favorite book by Melissa Stewart. It features animals who could be considered the underdogs, including those who are small, slow, weak, or shy. Readers will be intrigued by the animals that appear in the book, especially those that they are less familiar with. They'll also learn how these animals' attributes help them survive. This book celebrates animal underdogs, but the message can be applied to the human species, as well. 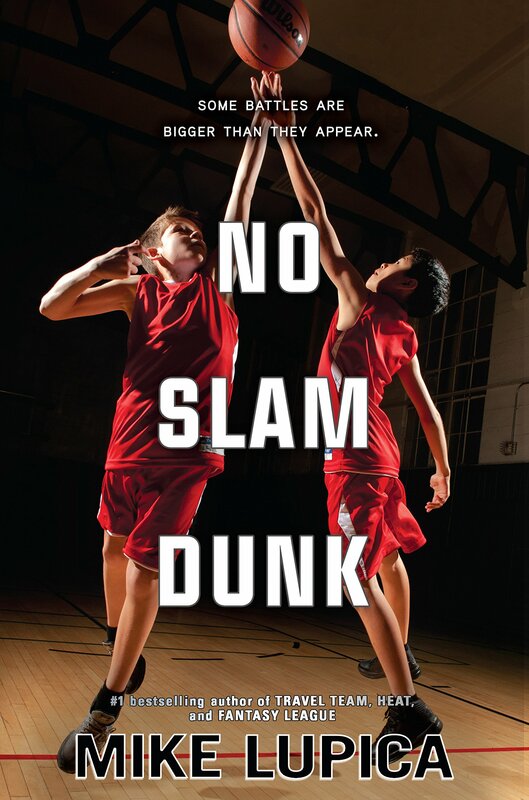 Sports fans will enjoy the play-by-play basketball action in this book. Wes loves basketball and strives to get better, but also to be a good teammate. Dinero, one of his teammates, is more concerned with showing off his basketball skills than being a team player. Wes is also dealing with changes at home. His father, a Navy SEAL, has returned from Afghanistan, but he's not acting at all like the dad he was before he left. As Wes works through challenges both on and off the court, he learns about teamwork, family, and friendship. Although there is enough action to entertain sports enthusiasts, this book also offers a heart-warming story about a boy navigating the hurdles that life has thrown him. Thanks to the publisher, Penguin Young Readers, for a review copy of the book. Liam's two younger sisters drive him a little crazy. Dakota is always conducting scientific experiments. Izzy, who has Down syndrome, is always hugging people. The family adores their dog, Cupcake, but he won't stop peeing in their apartment. Their landlord tells them either the dog goes or they will be evicted. Liam, Dakota, and Izzy refuse to give up Cupcake. They are determined to find a plan that will work so they can keep both their dog and their home. The siblings have a lot of personality and, although their relationship has its bumps, they show they care about each other. Liam's story is also relatable as he deals with challenges of divorce, financial hardship, and friendship. With humor and illustrations, this is a fun read, but it's also a sweet story about siblings who support each other. I received an advance reader's copy of the book at the International Literacy Association Annual Conference, thanks to the publisher. Oh wow. I'm definitely adding Pipsqueaks, Slowpokes, and Stinkers to my list today. What an excellent message about underdogs -- definitely needed today. Thanks for the shares, Lisa! Kids will be fascinated with the information, too. You've got some great books that I need to start looking for! As the weather turns colder, there are going to be more "sit by the fire and read" days! Thanks for sharing and have a great week! That's one thing to look forward to about winter weather! I'll have to keep an eye out for One Third Nerd! It sounds so great! Definitely one to look out for. It's sweet and fun. I love Brian Lies’ artwork so definitely will have to check out this latest book with a good message. 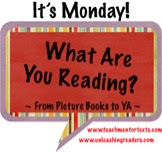 Have a great week and enjoy NCTE! His work is absolutely gorgeous! Thanks, I am looking forward to NCTE! I'm not a huge fan of sports novels, (except if it is about baseball) but I do enjoy reading Mike Lupica. I love reading Gennifer Choldenko's work so I'll be on the lookout for One-Third Nerd. I like the balance of sports action and real-life issues that students can relate to. I'm not a big fan of sports novels either so I like that there is something else going on in the book besides just basketball. 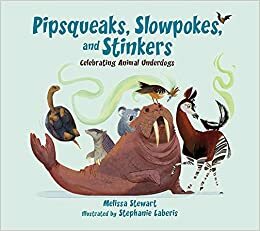 Pipsqueaks, Slowpokes, and Stinkers is amazing! We just read it and we have to agree with you that it is one of our favorite books by Melissa Stewart. Will we see you at NCTE? Yes, I'll be there! I can't wait! Enjoy NCTE. Those conferences are some of the things I do miss about teaching! I love Pipsqueaks, Slowpokes, and Stinkers, & will certainly look for Got to Get to Bear's! It sounds like a great story. Thanks, Lisa! Pipsqueaks would pair well with a book I just read, Lovely Beasts. Oh wow - all unfamiliar titles to me, thanks for sharing! Have a great reading week ahead of you! These all look really great. I hadn't heard of the new Melissa Stewart book so thanks especially as that one.